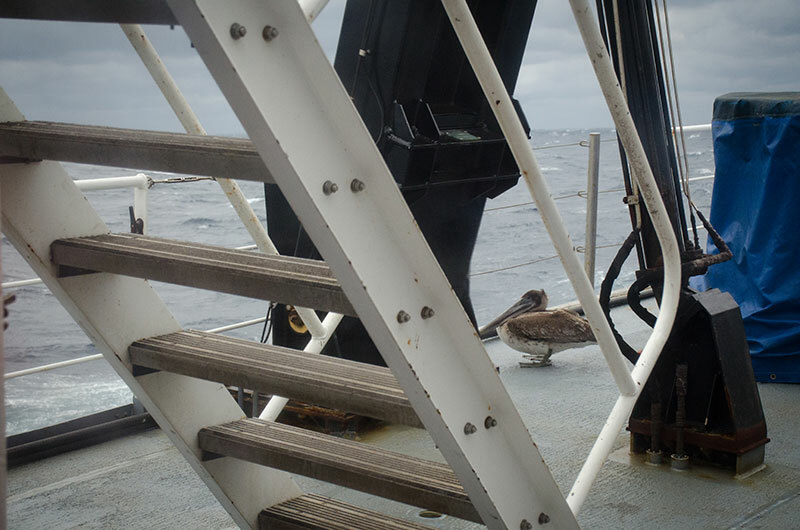 After being blown out to sea, this pelican landed on the ship to catch his breath. Image courtesy of the NOAA Office of Ocean Exploration and Research, Gulf of Mexico 2017. Download larger version (jpg, 10.3 MB). With the weather taking another turn for the worse, the dive today was canceled. The team on the ship hunkered down, disappointed that the weather was rough and hoping things would settle down so they could dive again.